Thousand Oaks-based Amgen and pharmaceutical giant Merck are working together to evaluate the safety and effectiveness of combined treatments for melanoma patients. 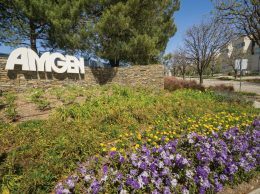 Thousand Oaks-based Amgen and pharmaceutical giant Merck are working together to evaluate the safety and effectiveness of combined treatments for melanoma patients, the companies announced Feb. 5. The agreement, entered into through a subsidiary, will evaluate the use of the cancer-killing virus talimogene laherparepvec combined with MK-3475, an immunotherapy that targets PD-1, a protein on the surface of immune cells. The treatments are meant for patients with mid- to late-stage melanoma. 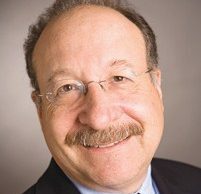 “We are pleased to be collaborating with Amgen to study MK-3475 as part of this novel combination regimen,” Dr. Eric Rubin, vice president of clinical development for oncology at Merck Research Laboratories, said in a statement. “Early evaluation of immunotherapeutic combinations is important in accelerating the development of new options for patients with cancer.” Merck, based in New Jersey, is known as MSD outside of the United States and Canada. The open-label clinical trial will be conducted in two parts and is planned to begin this fall. Melanoma is the most aggressive and serious form of skin cancer. While melanoma accounts for less than 5 percent of skin cancer cases in the United States, it causes the most skin cancer deaths.